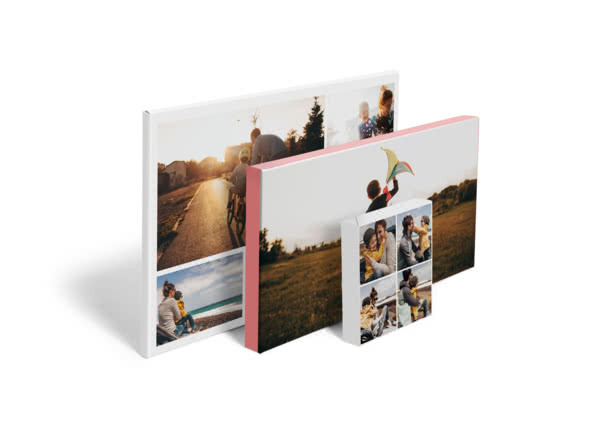 Whether it’s a collage with funny pics of the cats or a family photo from your weekend in the country last Spring, a canvas is perfect to celebrate all your favourite moments in style. Illustrations, layouts, background colours... Let your creativity run wild with a Collage Canvas. Whether you put one or 25 pics, a small Canvas Print will add some wow to even the smallest of spaces. From your computer, social media, or any device. 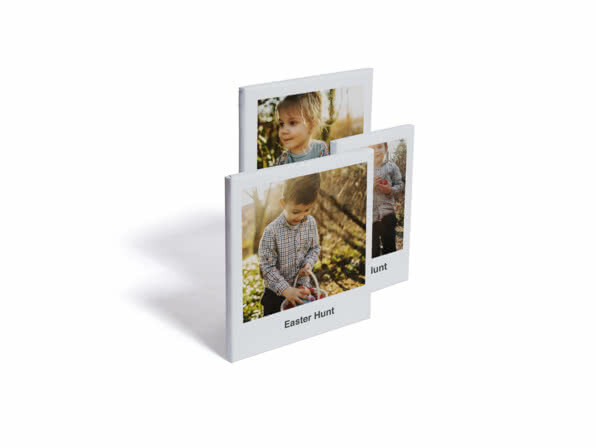 Personalise your creation using our ready-made layouts, backgrounds and borders. Simple and quick payments with all the security you’d expect for worry-free shopping. With a choice of delivery options available, your Canvas Print can be with you in no time. Does my canvas come with a hanging kit? It is included with our Framed Canvas and with any of our thicker Canvas Prints (just click the ‘Classic’ option). Prefer our thinner, ‘Lite’, option? You can always add the hanging kit for less than the cost of a coffee. How do I hang my Canvas Print? Hanging your creation can be daunting, but don’t worry it’s super easy. Just follow these easy instructions. How do I crop my picture on the canvas? Your photos will automatically adjust to the canvas size and format you choose. Let’s say you upload a square photo to a square canvas – your photo will fit perfectly. If you upload a rectangular photo to the same square canvas, your image will be cropped automatically but don’t worry you can always adjust the positioning or way it’s cropped. Can I add text to my canvas? If you choose our Retro Canvas, yes. It has a dedicated space where you can put your message. Look for the text box when you make your creation. Not inspired just yet? You can write on it later with marker pens. How many pictures can I have on my canvas? You can get up to 35 pics on our Collage Canvas and up to 25 on our Desk Canvas (although, as this one is smaller, we think one or two pics would look best). 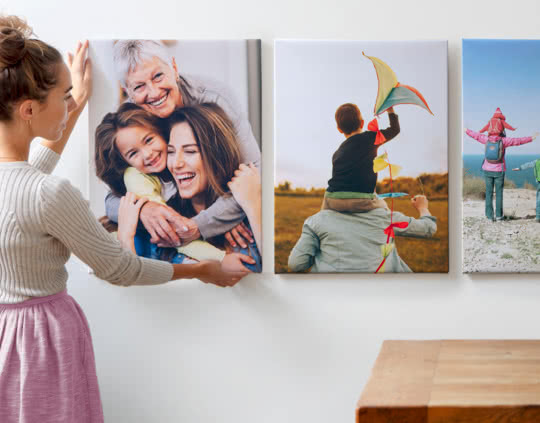 For any others, it’s only one photo per canvas – perfect for a standout shot. How do I take care of my Canvas Print? Don't pop it outside or anywhere humid as it’ll affect the fabric. Avoid putting it in direct sunlight or the colours might fade. Remember to give it a dust from time to time too. A quick wipe with a soft dry cloth is all you need to keep your Canvas Print looking fantastic for years to come. The photo printing pros. We’ll help you turn your favourite pics into thoughtful personalised gifts – whether it’s a stand-alone shot from your honeymoon for your other half or a photo collage of her beloved cat for your animal-lover sister. All your photos are saved on them so why not display one on the cover too? 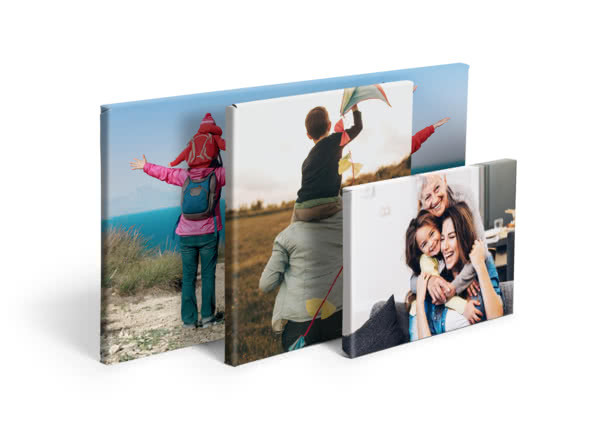 Supersize and display your favourite snaps with a poster print. Making a Mug takes as long as it does to boil the kettle, but it’ll be loved for years.